WHO IS SHAPE YOU ASK? We are thinkers, believers and doers. At Shape, we don’t see the norm as our limit; we look at it as our opportunity to push limits and tradition. A chance to bring something new to our customers, associates and communities. When seemingly impossible challenges arise, we look to the core of the problem, and create solutions others say can’t be done. 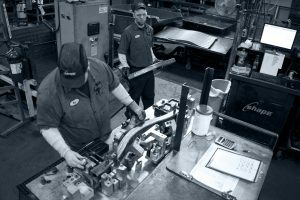 As a full service, tier-one automotive and industrial component supplier, our engineering teams design, test and analyze metal, plastic and hybrid components and systems. From black box design to customer design optimization, Shape gives you a formidable resource in today’s most challenging markets. You provide the vision, we provide the solution. Each day we manufacture products that solve customer challenges, meet strict tolerances and build trust. 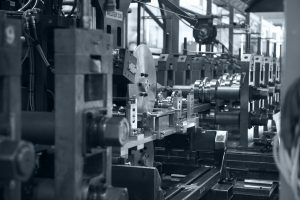 A history of process and material advancements position Shape as a global pioneer in advanced roll forming and specialists in injection molding, welding, stamping and aluminum processing. At the end of the day we transform inventive engineering into reality. 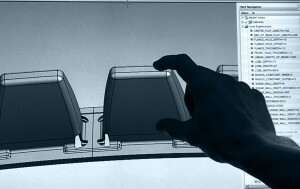 Engineering and manufacturing are only part of the equation at Shape. It’s the utilization of technology, research and advanced product development that set us apart and gives our customers competitive advantages. By focusing on our customer’s unmet needs, pushing tradition and succeeding where others can’t, we’ve cultivated a reputation as innovative problem solvers. Working hand-in-hand with our customers to develop new solutions and overcome industry hurdles is a Shape calling card. Whether it’s sharing physical resources or combining inventive thought, we’re eager to grow our customer relationships. At Shape we believe it’s more than just business, it’s personal. This belief has led to countless innovative partnerships, resulting in major breakthroughs in materials, processes and products. It’s no coincidence many of our customers have been with us for decades. As a Shape customer you’re on the receiving end of a global support network that is punctuated with local service. It’s our belief that we should be global, but always act local. Our neighboring approach ensures quality, on-time deliveries, cost-effective logistics and local customer service. Find out what others already know and you’ve been missing.